Having similar issues like last year. 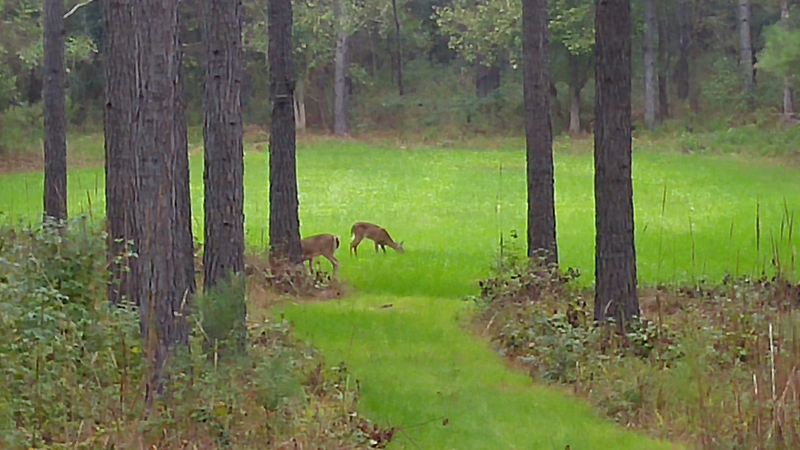 I watched deer in front of my S50i/modem for 30 or 40 mins, and may get one pic sometimes last season. Other times it seems to take pictures fine. Rarely did it take 3 pics set at 3 triggered with 10 second intervals. 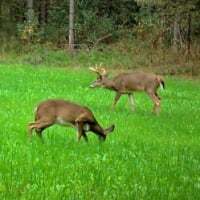 Which it should have with multiple deer feeding in front of it. This year I connected an M40i to the modem. I wrote off the fact I wasn't getting many pics because it was just on a weed field. It's now plowed and planted and growing. I got a few pics over the last week, but not many. My grandchild walked all out in front of the camera Friday, no pics. My son and I walked all over it Saturday, no pics. 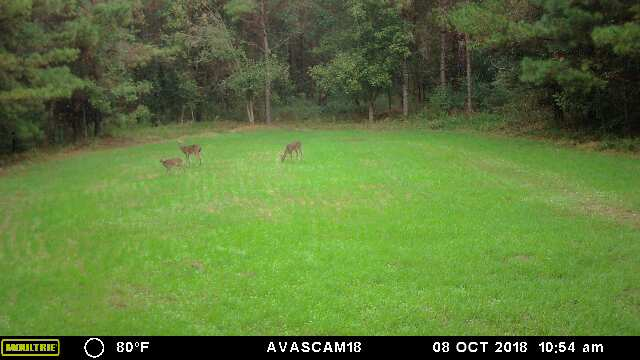 Got one pic of deer at 20 yards later that day. Pic of a crow and some shadows. 2 night pics with the deer out of range nearly. Whats on the app is whats on the card. The time lapse works fine. I changed the pic quality down to medium. No real change I guess. The last thing I know to try is a class 10 card. Is it possible the class 4 isn't fast enough, and there's a communication break down when its triggered, and not recording the pictures randomly? I keep the card low on data. I use the same card I did 2 yrs ago with a 990i connected to it with similar picture file sizes. It worked fine. Lots of pics. I'm having to set time lapse to use some of the data I pay for. I probably used 10% the last 2 months. Maybe signal fluctuations are affecting the camera recording the file too? Out of ideas. If what is showing on the app, is also what's on the card. It appears to be a camera issue vs. a modem issue. My thought wouldn't be around card or pic quality but rather PIR Sensitivity. I have noticed when I have cameras over salt and I have them on low and say for example 2 min delay, it won't take pics every 2 mins. Some are 5 min gaps, some are 4, some are 8-10. Even though the animal is standing in the same place so I know it's there. It's like it takes a lot of movement to trigger. I see what you are saying. 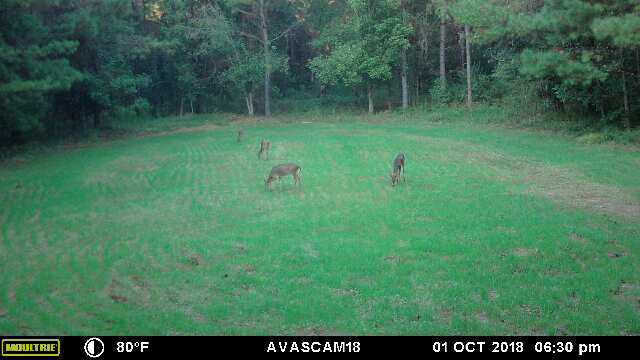 The problem is last year when 6 deer are wandering around eating for 40 mins and it took one pic of the last one trotting off. I was dumbfounded. You know theres movement every 10 seconds. Then I watched it happen again last year. I mentioned one deer sticking its nose up to the camera,no pic. My son was 25 feet above it. So, they had me swap the S50i camera. I am trying the M40i this year. It's the same type thing. 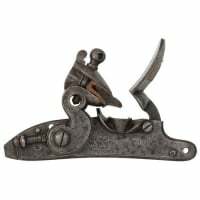 It may pick up a crow at 20 yards, but not a 45lb grandkid running wild. lol. Then nothing from 2 grown humans wandering all over it, the next day. No pic. The sensitivity is high again, after trying it on low a few weeks ago for moving shadows. It will pick up fawns on the edge at 120 ft. The same last year. S50i would catch deer at 50 yrds. It's like it has a mind of it's own when it wants to wake up. Time lapse works good. lol. just happened to be in the same place Everytime it took a picture but didn't catch everything else. I'm researching some other options as we speak but more so for next year. I'll give them the season and if the hiccups don't stop I'm out. Prime example today. Added 130# of corn. Three pictures taken. One was white. Not sure how that happens when I was there for five minutes. Thats about 45 yards in front of a M40i 10ft up a tree. Thats great distance for motion. Hanging out underneath my MM setup 9 ft above. I feel like it's important to say that the detection angle doesn't have a ton of vertical range to it. It's wide, to cover large areas and catch things coming in from the left and right, but the vertical angle that the PIR sensor sees isn't nearly as big (I don't know the numbers off the top of my head, honestly). Is the camera angled down at all or pointed straight out? 10ft is fairly high in a tree, and I'm wondering if things are getting above and below the PIR cone and that's why you're not getting triggers. You could test it by throwing it into AIM mode and walking around the area, seeing if the AIM LED is triggering as you walk the field (probably will need a second set of eyes to determine this). Last year I had it low with the S50i and had some issues. I moved the M40i back low after the pic above, on the tree to the left. Got some 3 triggered the other evening. It seemed to be normal then. 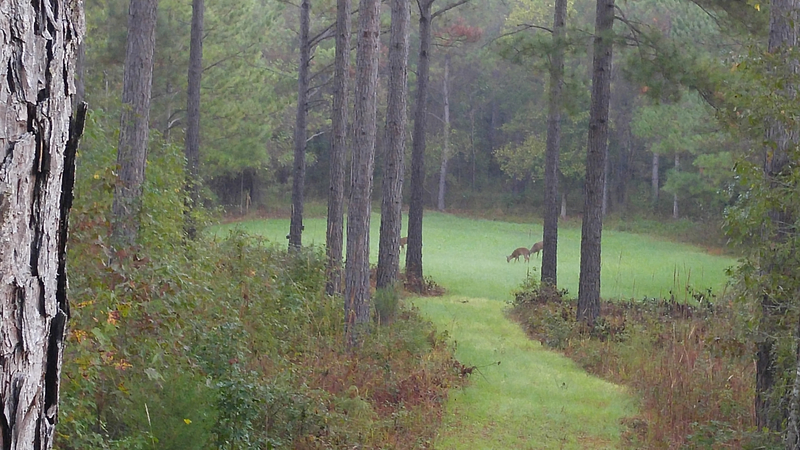 I haven't received a lot of pics since, but I think the deer are on the acorns right now. I'll have to watch it this weekend and see how its doing. We have a stick behind it angling it to center up with the plot when its placed high. Thanks Ninjaneer. Like I suspected. 3 Deer 15 yds in front of camera, no pics on mobile. Last night it caught the rear of a deer that obviously walked in front. 3 triggered. M40i doing the same as S50i last yr. It seems as the pics are time lapse, or totally by chance on motion detect. Sometimes it wakes up. Modem communication must be affecting cameras ability to wake up. 2 1/2 yrs, 2 diff. modems, 3 camera swaps, tons of unused data. Gamble on 4g? I have no idea anymore.